(The Daily Star, 29 August 2018) – Prime Minister Sheikh Hasina will sit with her Indian counterpart Narendra Modi on the sidelines of BIMSTEC Summit in Kathmandu tomorrow evening. The meeting, viewed significant ahead of the national election, is slated for 6:45pm, diplomatic sources in Dhaka and New Delhi confirmed The Daily Star. The fourth BIMSTEC Summit – a meetup of the seven-nation regional economic block – is set to see the signing of an instrument on the establishment of BIMSTEC Grid Inter-connection, which will pave the way for buying and selling electricity among member states. Diplomatic sources said the memorandum of understanding (MoU) will open the door for energy cooperation among seven states of South Asia and South East Asia and will also pave away for facilitating the promotion of efficient, economic, and secure operation of power system through the development of regional electricity networks. “The BIMSTEC member states have already finalised the MoU, and now it is ready for the signature. The accord will provide a broad framework for the BIMSTEC member states to cooperate towards the implementation of grid interconnections for the trade in electricity with a view to promoting rational and optimal power transmission in the BIMSTEC region,” a senior official at the foreign ministry told The Daily Star. Dhaka hosts the secretariat of BIMSTEC. 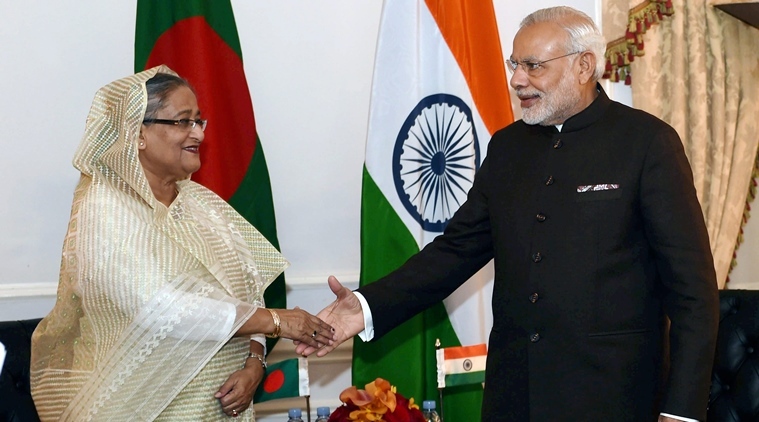 Apart from the Indian Prime Minister, the Bangladesh PM is likely to hold bilateral meetings with other participating heads of state and government. It’s yet not confirmed whether she would hold any bilateral meeting with Myanmar President Win Myint – a meeting which will most likely to span around Rohingya issue. A VVIP flight of Biman Bangladesh Airlines carrying the Prime Minister and her 57-member delegation members will depart Hazrat Shahjalal International Airport for Kathmandu at 8:00am tomorrow and reach Tribhuvan International Airport in Kathmandu at 9:15am (local time). Briefing reporters about the Kathmandu summit and Prime Minister’s two-day official visit, State Minister for Foreign Affairs Md Shahriar Alam the seven-nation meet will also ink BIMSTEC Convention on Mutual Legal Assistance in Criminal Matters aiming to curb crimes and terrorist activities in the region and mutual assistance in carrying out investigations. Replying to a question, the state minister said the Rohingya crisis would not affect the BIMSTEC process as it is solely economic and technical cooperation. He said Bangladesh was always mindful about the bilateral relations so that it does not harm due to one crisis. 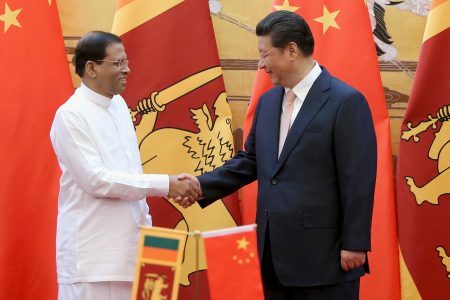 “One of the outcomes of this BIMSTEC summit would the signing of a MoU on grid connectivity which is already agreed by all member states including Myanmar,” he said. It is unlikely that the Rohignya issue will be discussed in the main summit, Shahriar said but there will be a retreat session apart from the formal summit where the leaders can discuss the issue. There will also be a joint declaration at the end of the summit. Sri Lanka will take the charge of the next chair from Nepal. 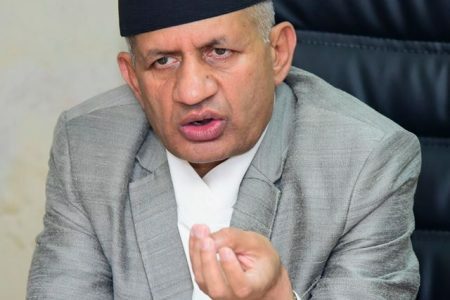 Foreign Minister AH Mahmood Ali is in Kathmandu now and attended the foreign ministers’ meeting held yesterday before the summit. Foreign Secretary Md Shahidul Haque led the senior officials meeting on Tuesday. After the SAARC summit, scheduled for November 15-16, 2016 in Islamabad, got stalled, India has been actively pushing BIMSTEC as an alternative to SAARC, according to diplomatic sources. Pakistan on Sept 30, 2016 announced postponement of the summit after India, Bangladesh, Bhutan, Afghanistan and Sri Lanka pulled out of the SAARC event, indirectly blaming Pakistan for creating a discouraging environment. Immediately after the postponement, India hosted the leaders of BIMSTEC [that includes Bangladesh, Bhutan, India, Myanmar, Nepal, Sri Lanka and Thailand] during the BRICS Outreach Summit in Goa in October 2016. The Bay of Bengal Initiative for Multi-Sectoral Technical and Economic Cooperation (Bimstec) having seven Member States — Bangladesh, Bhutan, India, Nepal, Sri Lanka, Myanmar and Thailand — came into being on June 6, 1997 through the Bangkok Declaration. BIMSTEC has focused intensely on trade and investment, technology, energy, transport and communications, tourism, fisheries, agriculture, cultural cooperation, environment and natural disasters, public health, poverty alleviation, people-to-people contacts, counter-terrorism and climate.